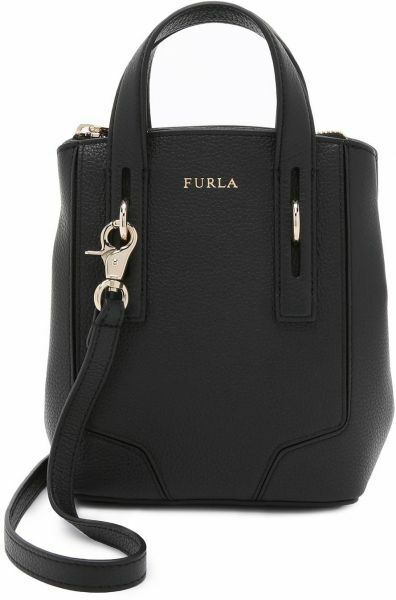 A petite Furla cross-body tote in pebbled leather. Snap-tab sides. The top zip opens to an unlined, single-pocket interior. Rolled handles and optional, adjustable shoulder strap. - Weight: 13oz / 0.37kg.